The internet was down in my house today so I decided to dig through my collection of DVD’s for any movie that I have not seen in some time. I came across a little gem that I forgot I owned! The Three Swordsmen is a very fun Wuxia movie to watch. My only problem with it is my subtitles. They are on the smallish side and white. 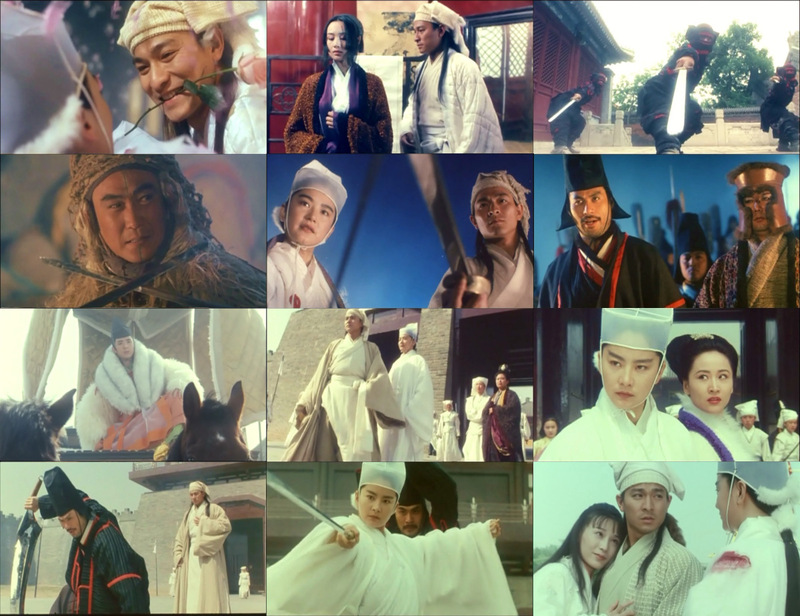 Normally white subtitles are the best but Andy Lau and Bridgett Lin wear white robes in the film so it was very annoying as the subtitles get lost during their scenes. Now I remember why I had not watched it in a while. Some of my biggest complaints about watching Chinese movies are going to be the Subtitling. It needs to be white and outlined in black or White inside a black or grey box for proper reading. It would also be nice if written script and cultural references would be subtitled as well but in green or red. I say this because if you get a very well done subtitles (I have a few but the names escape me) they will do this. One of the Japanese films (one of my The Criterion collection films I’m sure) have written text subtitled on the top in yellow with spoken language in white with black outlines on the bottom with cultural references just above where the spoken are and those were in purple. I wish they were all like that! The subtitles are also in incomplete sentences, but I would prefer a more direct translation like that then some that I’ve been told by Cantonese and Mandarin speakers that the subtitling is way off from what they are saying to the point that it could almost be a different story. However I digress. 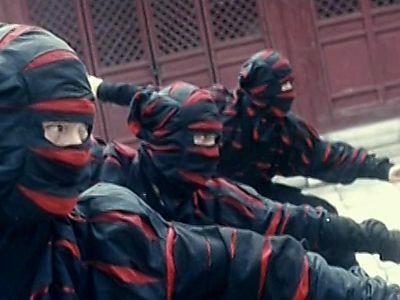 The Three Swordsmen was filmed during a golden time for wuxia movies, that being the early 1990’s. Andy Lau (God of Gamblers, Moon Warriors, Infernal Affairs, House of Flying Daggers) plays Siu Sam Siu one of the worlds best swordsmen. He is about to have a competition with everyone’s favorite cross dressing actress Bridgett Lin (Zu Warriors from the Magic Mountain, The Bride with White Hair) who plays Ming Kim. A little side note for those of you that don’t understand why so many female characters dress like male swordsman in martial arts films. The tradition started, from what I’ve read, in the beginning of Chinese cinema. Film makers couldn’t get men to act in the films because it was thought of as a lesser art form compared to Chinese Opera. They were able to get female martial artists who then played the roles of men. This tradition has carried on (such as Zhang Ziyi’s character in Crouching Tiger Hidden Dragon). Bridgett Lin is famous for such roles. However in The Three Swordsmen she is actually portraying a man, not a woman disguised as a man. From left to right Elvis Tsui, Bridgett Lin and Any Lau. Just before the Duel between our two heroes Siu Sam Siu (Some subtitles call him Smiling Sam <uck>) is framed for murder and in comes one of my favorite Chinese Character Actors Elvis Tsui (A Chinese Ghost Story, Dragon Inn, A Man Called Hero, Chinese Paladin) as Wang To and inspector for the Imperial Court who is investigating the claims laid out at our hero. I’m not going to get into any more details about the films plot. The Three Swordsmen has some nice stunts which isn’t surprising considering Siu-Hung Leung (Twin Dragons, IP Man) is the fight choreographer. The story which seems to have been partially borrowed from Lu Xiaofeng Series by Gu Long so not very original, some romance and quite a few comedy bits. It’s the full roller coaster ride! It’s not bad, as I said it is fun to watch but I hope you get a copy with better subtitles than I had. Bridgett Lin’s performance was what I would call a standard for her, Andy Lau is his typical charming, confident self, and Elvis Tsui is fun no matter what he plays or how he plays it. the supporting actors did all right. Many of the faces I did recognize but trying to find a name for them can be difficult as they could have two different names they use in Chinese and many times a third Westernized name. Plus the name given in whatever version of subtitles you have may not be the same as which is used in IMDB or HKMDB Such as Elvis Tsui or Tsui Kam-Kong who are the same person. Also Siu-Hung Leung who is the Stunt Choreographer is sometimes listed as Tony Leung Siu Hung which gets really confusing as there are already two very famous Chinese actors using Tony Leung! It’s no wonder it has taken me ages to learn who half of these people are!! My biggest complaint about this movie is the music score. Now I don’t know if this was in the general release or if it’s just my DVD but the soundtrack is ripped from the Anime Akira. I have the soundtrack on CD so there was no way I could miss this. The score for the beginning and end sounds much like the YouTube trailer above, but the middle is definitely Akira. If you have the DVD check it out and let me know in the comments if yours is the same. Long story short if you enjoy this era of Wuxia and Swordsmen films then it is worth the 86 minutes to watch it. This entry was posted in Swordsman, Wuxia and tagged Andy Lau, Bridgett Lin, Elvis Tsui, Swordplay, Swordsman, Wuxia. Bookmark the permalink.